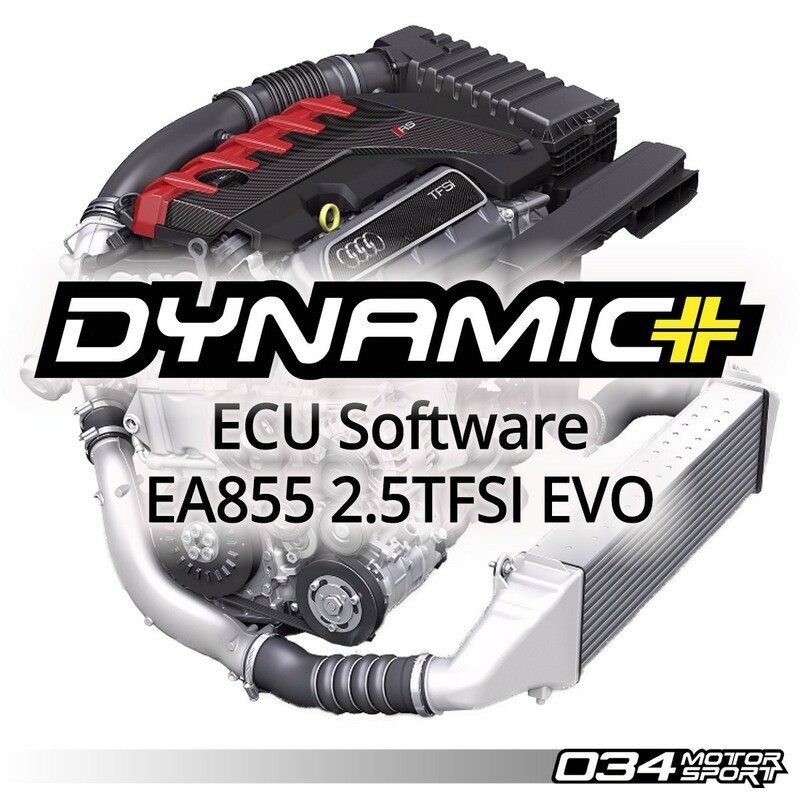 034Motorsport Dynamic+ Performance Software for the Audi 8V RS3 and 8S TT-RS equipped with the EA855 2.5TFSI EVO engine. 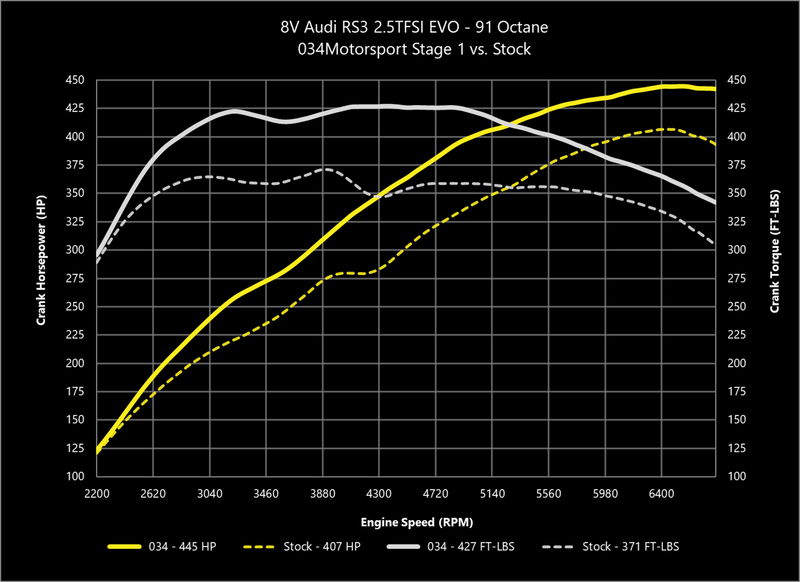 034Motorsport 2.5TFSI EVO tunes are flashed directly through the factory OBD-II port using the 034Motorsport Dynamic+ End User Flashing Kit, and offer dramatic increases in horsepower and torque throughout the powerband. 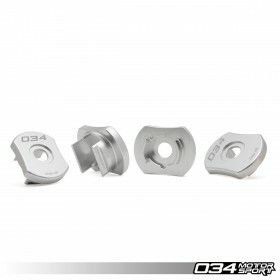 The 034Motorsport Dynamic+ End User Flashing Kit allows customers to install their 034Motorsport Dynamic+ Performance Software themselves. 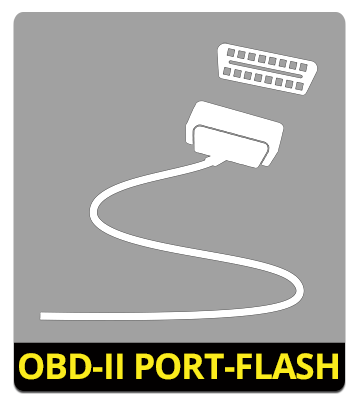 In addition, End User Flashing allows Dynamic+ Performance Software customers to receive and install software updates and revisions, flash back to stock, or upgrade to the next stage of performance software for their vehicle. 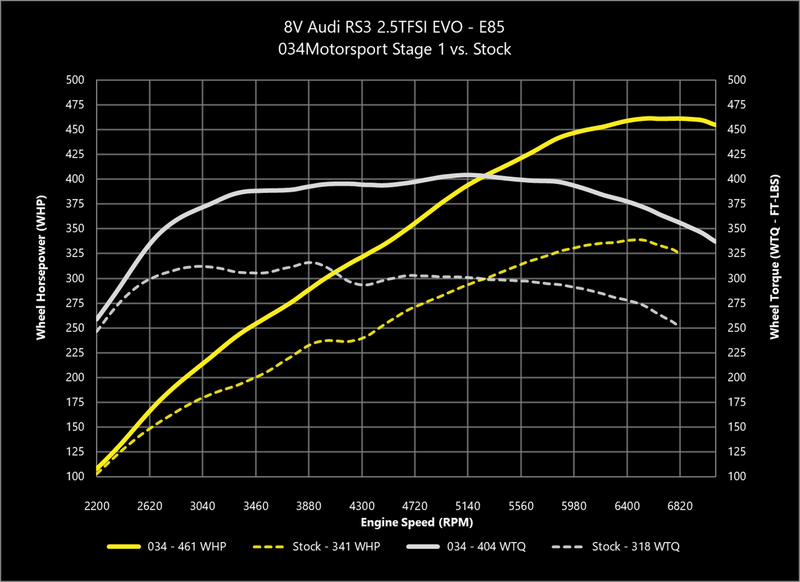 034Motorsport is proud to unveil an all-new line of Performance Software for the 8V.5 Audi RS3 and 8S Audi TT-RS equipped with the amazing EA855 2.5TFSI EVO engine! We have spent over a year and 24,000 miles of testing at tracks, including Sonoma Raceway, Laguna Seca, Thunderhill, Button Willow, and Spring Mountain, along with torturing road tests through Death Valley, the Sierra Mountains and notoriously bad SF Bay Area traffic. Flashed directly through your vehicle’s OBD-II port, 034Motorsport’s proprietary calibrations for the ECU safely and effectively increase the power output of these new aluminum block 5-cylinder engines. The result is a significant improvement in acceleration and throttle response, without any sacrifice in driveability or reliability. Since these new engines use both direct and port fuel injection, we were able to optimize fueling to take advantage of the sweet corn nectar that is E85. 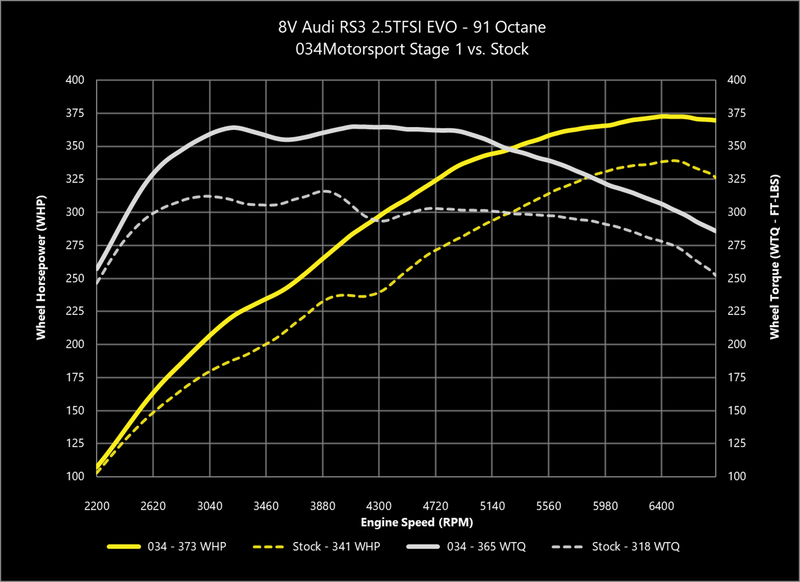 With a larger intercooler such as the one we recommend from Wagner Tuning, the results shame built 4-cylinder stage-3+ cars with 0-60 times well below 3-seconds and quarter mile times of 10.4 seconds or less on our TT-RS. 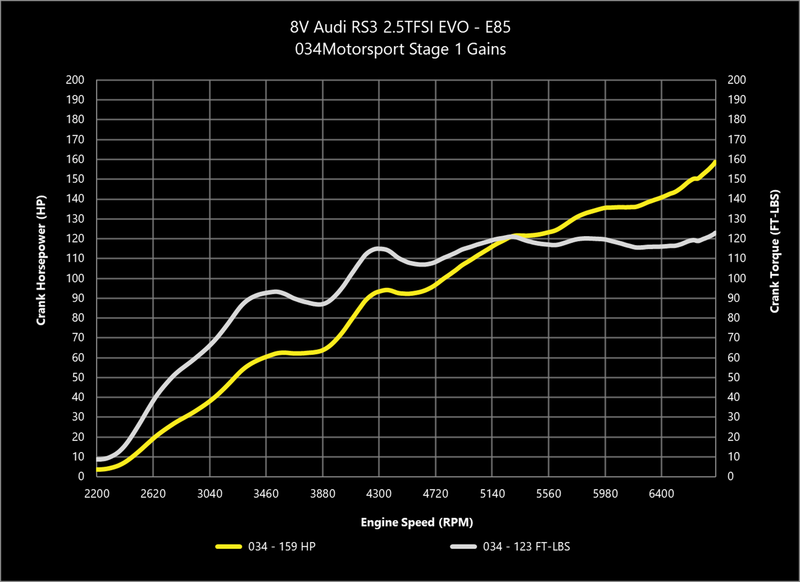 This is beyond supercar and approaching hypercar performance...at Stage-1! 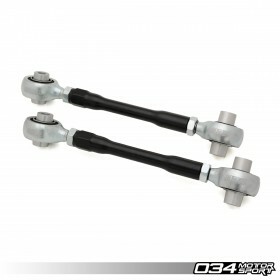 Power is one thing, drivability is another. 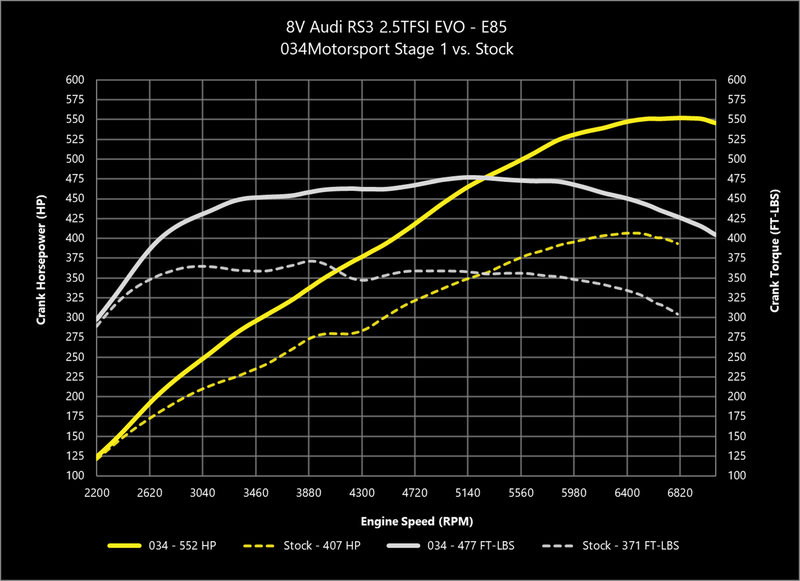 Many tuners simply crank up the boost and advance the timing, leading to a quick feeling car but at the sacrifice of drivability and the inability to be smooth. This is especially important at the track where being smooth wins races. 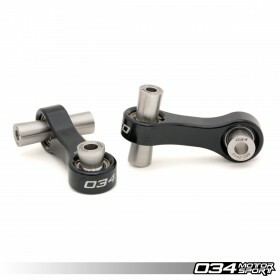 034Motorsport Dynamic+ Software makes more power, while increasing drivability through improved throttle resolution, smooth transient response (on/off boost) and mapping that is safe for your powertrain. 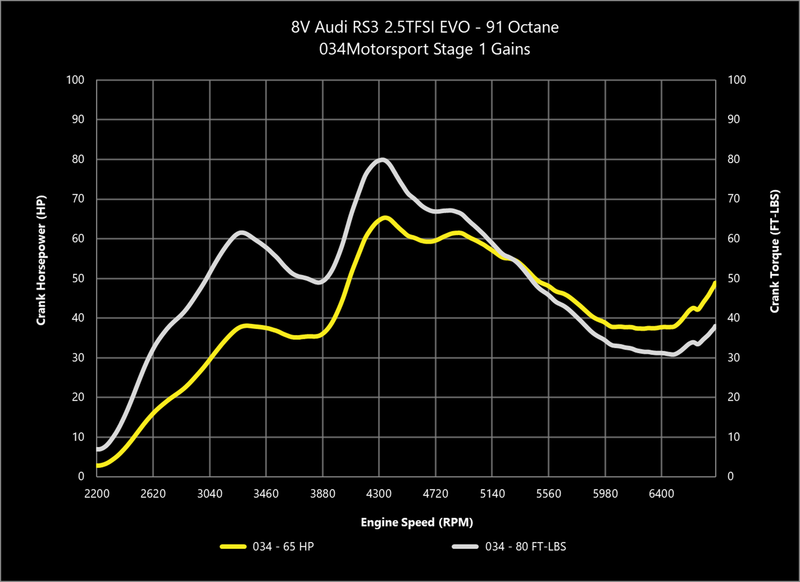 034Motorsport's 2.5TFSI EVO Dynamic+ Performance Software was developed entirely in-house on 034Motorsport's Development 8V.5 Audi RS3 and 8S TT-RS. The calibrations were then refined on multiple enthusiast-owned cars around North America. NOTE: The E85 calibration is not a flex-fuel style tune. The tune will work with E85 directly from the pump, both summer and winter blends (ethanol content can vary from E60-E85). 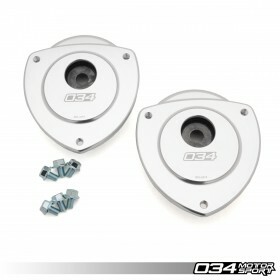 This tune requires only E85 be pumped into the fuel tank. Gasoline blends and race fuel mixtures should not be used, and engine damage could occur if the incorrect fuel or octane is used. We strongly recommend an ethanol content gauge be used so that you can monitor the actual ethanol content at the pump you are using. 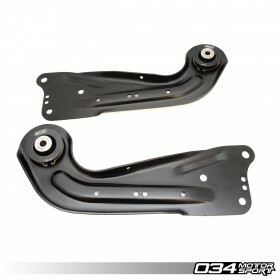 034Motorsport's Dynamic+ End User Flashing Kit allows customers to install their 034Motorsport Dynamic+ Performance Software themselves. In addition, End User Flashing allows Dynamic+ Performance Software customers to receive and install software updates and revisions, flash back to stock, or upgrade to the next stage of performance software for their vehicle. This 034Motorsport ECU Upgrade can be flashed directly through your vehicle's factory OBD-II diagnostic port at home using the 034Motorsport Dynamic+ End User Flashing Kit or by bringing your vehicle to 034Motorsport or any 034Motorsport Dynamic+ Performance Software Dealer listed here.